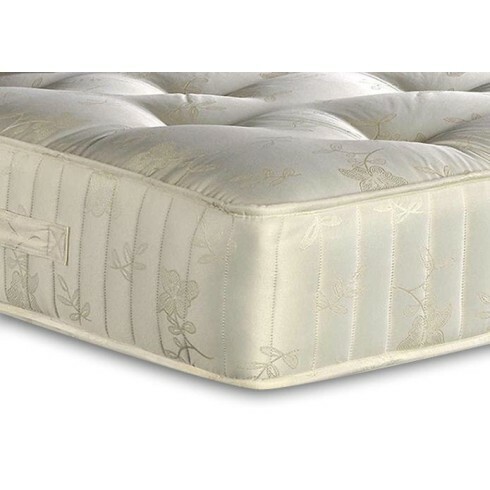 Combining 1000 strong pocket springs and hand tufting this mattress gives a firm support. One of the firmest in our range and fully turnable to keep you comfortable and prolong the life of the mattress. Layered with bonded fibres and polyesters then covered in a damask fabric.